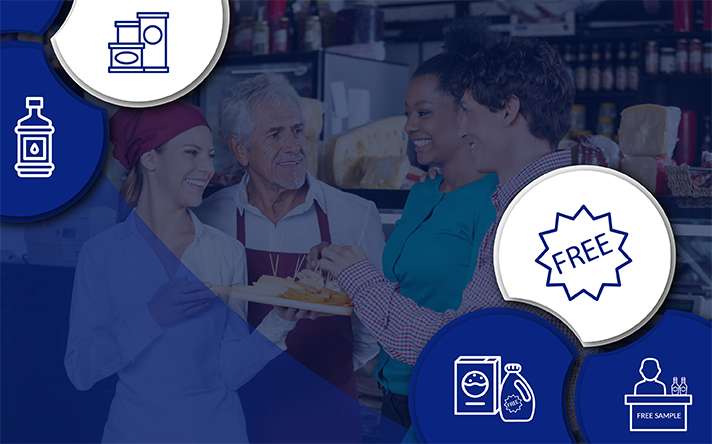 As the leading supermarket chain in Mauritius and the preferred brand of Mauritian households, Winner’s has a strong foothold in the market. It helps that they have over 20 stores located strategically across the island and have built up a reputation as a shopper-friendly store. However, that doesn't mean they have settled. That’s why in 2018 they announced the acquisition of the former Shoprite of Trianon. Located at the La City Trianon (formerly known as the Trianon Shopping Park) in Quatre Bornes, what is so significant about the acquisition is that it came about following a fire which gutted the Shoprite hypermarket in November 2017. Also, Winner’s didn’t only want to rebrand the store as their own. They had a far bigger goal. If they pulled the store opening off, it would have a far-reaching impact on the rest of their stores. As we mentioned in an article detailing our work for Makro’s flagship store at Riversands, a store opening is never an easy or straightforward task. It involves thorough planning and preparation and a firm grasp of multiple elements. In the case of Winner’s, what made this store opening an even bigger challenge was that they wanted to transform the space at La City Trianon into a hyper store. Up until this point, Winner’s had never attempted to open a store of that size. 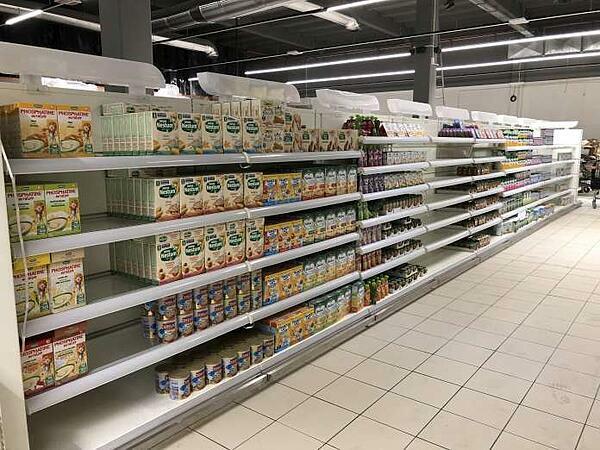 Understanding the scope of the project and the need for outside experience, Winner’s Supermarket sought out a category management solution from DotActiv. It helped that we had assisted other retailers with flagship store openings prior to working with Winner’s. Makro is one, as mentioned above. Another is the work done for Food Lover’s Market. In both instances, it came down to a combination of increasing (and optimising) the retail floor space and offering a broader range of products. For Winner’s, the solution we provided was similar in scope. 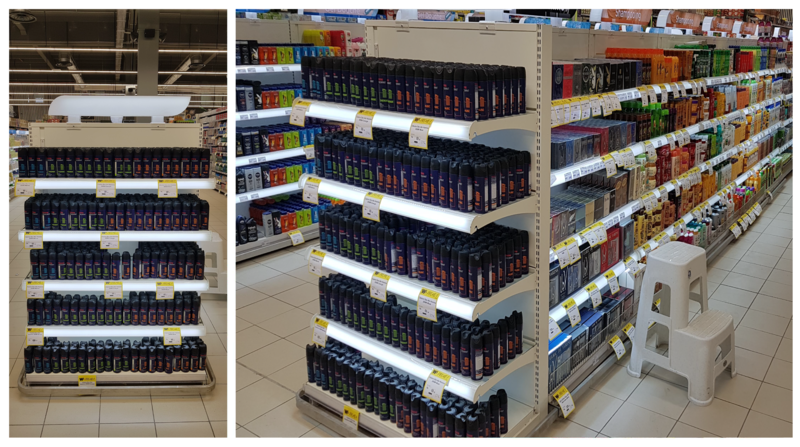 (Above and Below) Drop and end cap for the Deodorant and Shampoo categories post-implementation. As with any project that DotActiv undertakes, the first step is to hold a scoping session where we discuss every aspect of the task with the client. During this session, we also suggest the best solution. As a side note, when suggesting solutions, DotActiv focuses on what’s in the best interests of the client rather than our bottom-line. For Winner’s store opening, that was a mix of software and services. It’s worth noting that by purchasing an Enterprise license, you receive database integration and other services at no additional costs. Also, as part of the deal with Winner’s, we sent a team over to Mauritius to offer specialised training to get them up and running with our software. Before creating data-driven planograms for Winner’s, they needed to integrate their data with DotActiv software. There is a sound reason for doing that. Manually importing data is not efficient. 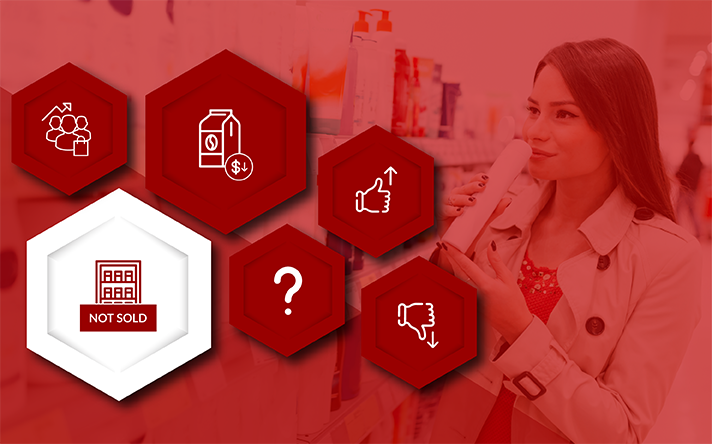 Meanwhile, integrating your retail data makes the category management process simpler. That was especially true for Winner’s when you consider they were opening a hyper store. What’s more, once you have completed integration, all future retail data automatically import into the software. Following the completion of the database integration, the next step was to create a floor plan. When it comes to developing any floor plan, it’s crucial that you not only understand your existing floor plan, but also the available planograms for your store. Of course, for Winner’s, since this was a new store, that did pose a challenge. But not one that was difficult to overcome. Taking retail data provided to us from another store, we set about building the floor plan. In an effort to offer multiple rather than a single option, we create six variations. (Above) Drop and end cap for Juice category post-implementation with price labels. Once Winner’s were satisfied with the layout and signed off on them, we set about creating planograms. Since we had already integrated Winner’s data with our category management software, all the necessary sales and product data were already available. 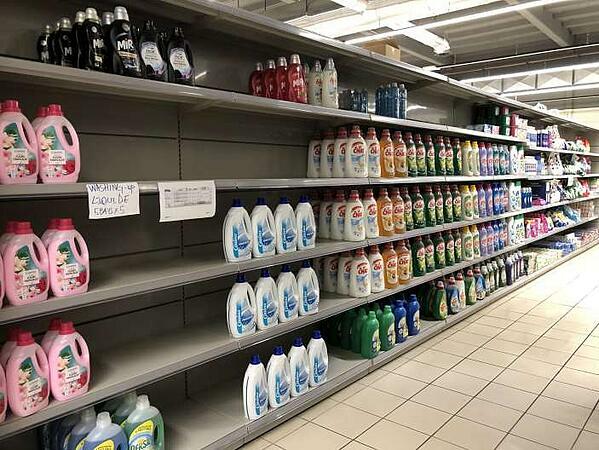 It was simply a matter of analysing the data and giving each product the space it deserved on the shelf. During this stage, we also implemented various flows and merchandising principles, which we had discussed and agreed upon during the initial scoping meeting with Winner’s. After completion, we sent them the planogram files (.flp) along with the product images for implementation. On their side, Winner’s made changes to the planograms where necessary before implementing them in-store. 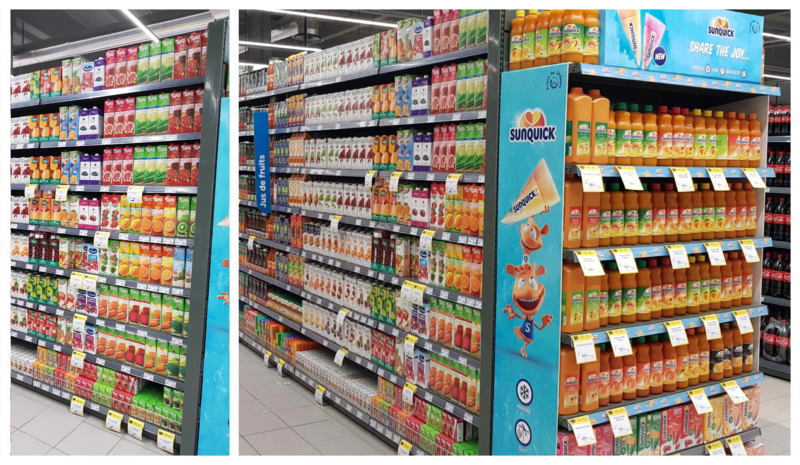 To ensure everything was correct, and to provide additional support, DotActiv conducted an in-store visit, with a senior space planner travelling to Mauritius pre-implementation. Our IT head then visited the store in early 2019 for a post-implementation inspection. (Above and Below) Aisle and End Cap for Oils and Cleaning categories post-implementation. Once there, we were able to recommend changes, based on the sales data available to us. If you were to walk into Winner’s Trianon, you’ll find a hyper store that is clean and logically laid out. Also, as you can see in the images above, the aisles are spacious. That makes it easier to shop the store; even during peak shopping hours. The fact that DotActiv was able to visit the store post-implementation meant we could also see and experience this for ourselves instead of relying on second-hand knowledge. What’s more, to test the shopping experience out, we visited other retailers. When shopping at other retailers, we found that store layouts appeared illogical and messy. Products were difficult to find and the experience was generally disappointing. Meanwhile, shopping at Winner’s was the precise opposite. 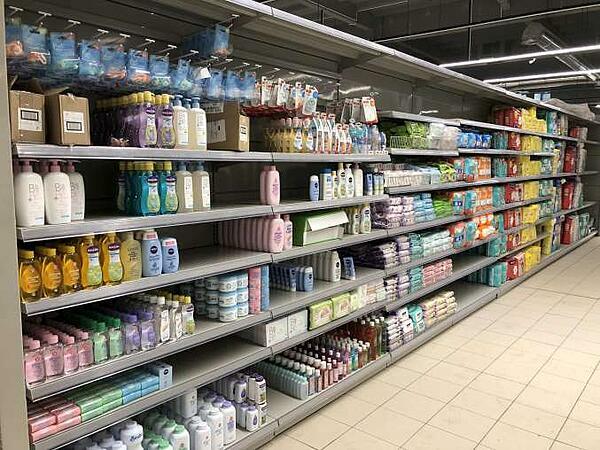 It was easy to find products on the shelf and there was consistency in the layout and presentation of items. That’s a good outcome for Winner’s who are intent on rolling out the same look and feel across the rest of their stores. The result is that in the long-run, any shopper who visits Winner’s will feel at home regardless of which store they visit. And to think, the original store burnt down and Winner’s rebuilt it from scratch, opening the doors to this, their first hyper store, within 11 months. Over 1500 retail professionals in more than 60 countries use DotActiv’s planogram software. 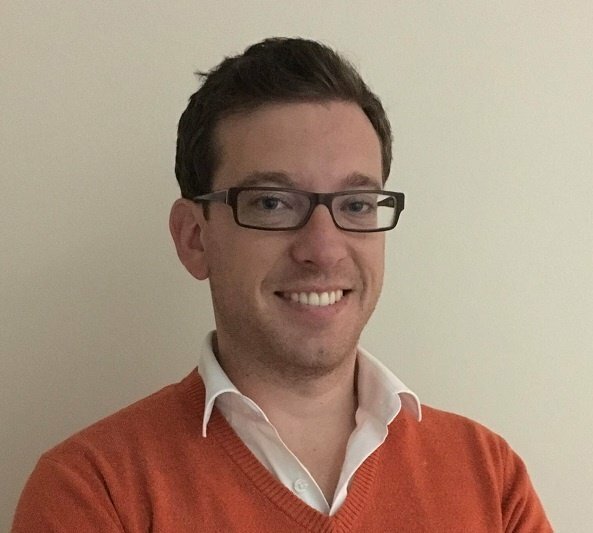 Interested in finding out more about how we can enable you to use your business data to create better product layouts, localised assortments, advanced retail analytics and more? You can visit our online store here or click below to find out more. COPYRIGHT: 2019 DOTACTIV (PTY) LTD, ALL RIGHTS RESERVED.